Skin cancer is the most common form of cancer diagnosed in the United States. More than 5.4 million cases of non-melanoma skin cancers are diagnosed in the United States each year. The most common non-melanoma skin cancers are basal cell carcinomas and squamous cell carcinomas. The standard treatment for removal of these types of cancer is Mohs surgery (pronounced “moes”). But there is another non-surgical option available that has high cure rates without the risks and discomfort of surgery. Superficial Radiotherapy (SRT) is an FDA-approved treatment for the removal of non-melanoma skin cancers like basal and squamous cell carcinomas. During SRT treatment, high concentrations of radiation are targeted directly at the cancerous tissue. Unlike X-rays or other forms of high-dose radiation therapy used for cancer treatment, SRT uses electron beam radiation, which only penetrates to up to 5mm below the surface of the skin. By their nature, cancer cells are unable to repair the damage caused by the electron beam radiation. Malignant cells die off while healthy cells are able to heal. And structures deeper in the tissue are unaffected since the beam’s reach is so shallow. Doctors and patients may prefer SRT over Mohs surgery for the removal of non-melanoma skin cancer for the following reasons. It’s safe and effective. SRT has been around for a very long time. In fact, it was one of the first treatments for basal and squamous cell carcinomas back in the 1970s. 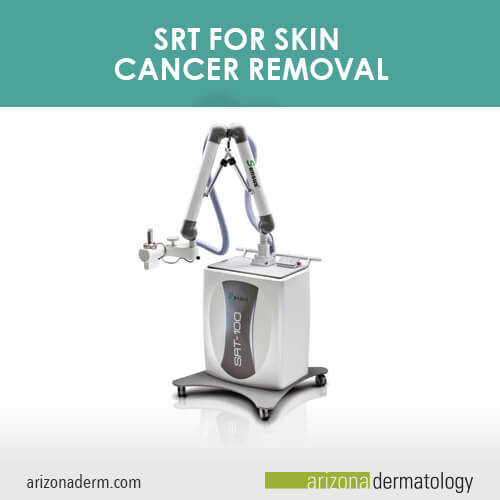 Today, SRT is making a comeback and is widely accepted as an option for treatment of skin cancer for many patients. Cure rates are between 90%-98%. There is minimal to no scarring. SRT is a preferred option for many patients when their skin cancer is located on or near the eyes, nose, lips or ears, where surgical treatment could lead to permanent scarring or disfigurement. No skin grafts or reconstructive surgery is needed after SRT. Quick and painless. SRT treatments are done in your dermatologist’s office and only take a few minutes. Mohs surgery can take all day. While SRT is painless, Mohs surgery requires local anesthesia and may continue to cause pain or discomfort during the healing process. Avoid surgical complications. Unlike with surgery, undergoing SRT means no anesthesia, no cutting or stitches, virtually no risk of nerve damage and no risk of infection. No downtime. SRT doesn’t require any downtime. You can go back to work right away, and you’ll heal faster than you would with surgery. What happens during an SRT treatment? Unlike with Mohs surgery, you will have to come back for multiple appointments for SRT treatments. Similar to other types of radiation therapy, expect several appointments a week for two to six weeks until the cancer is gone. 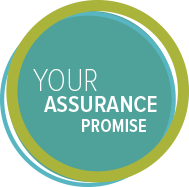 Most patients will need between 10 and 30 sessions, depending on the size and location of the cancer and the desired cosmetic result. Getting set up for SRT takes longer than the treatment itself. The skin and structures around the treatment area will need to be covered with protective shields. Your doctor will track how the cancer is shrinking and make adjustments for each therapy session. SRT is painless. Minor side effects at the site include a sunburn-like redness, dryness or itching. These can be treated with topical creams and typically disappear two to four weeks after treatment is complete. Not everyone is a good candidate for SRT. SRT is not used to treat melanoma and is not recommended for patients who have or have had melanoma. Talk to your dermatologist about whether SRT is a good option for you.